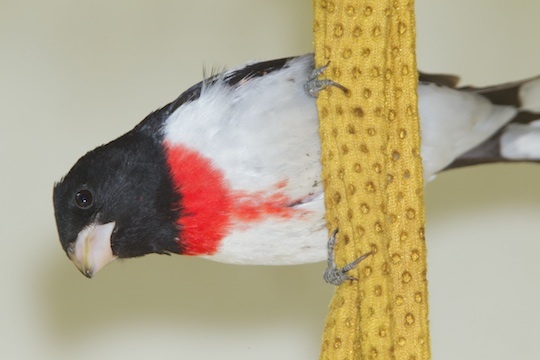 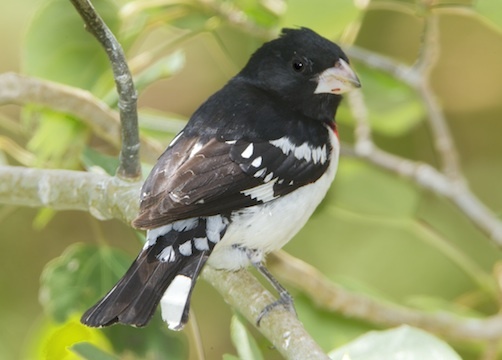 Rose-breasted grosbeaks are striking birds native to the eastern parts of North America. 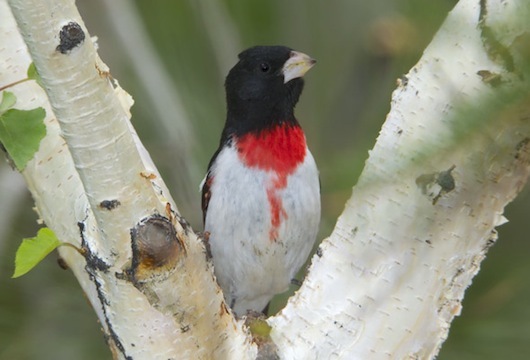 Occasionally one strays farther west; the fully breeding-plumage male was photographed at a feeder in Swall Meadows, a small mountain community on the east side of California's Sierra Nevada range. 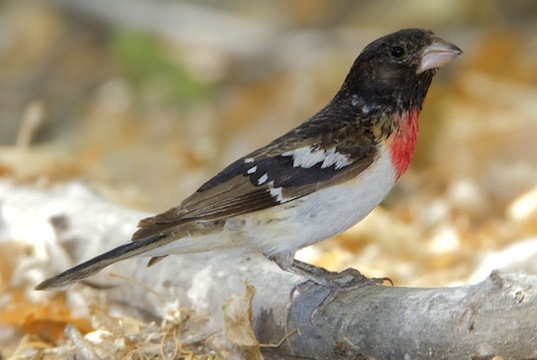 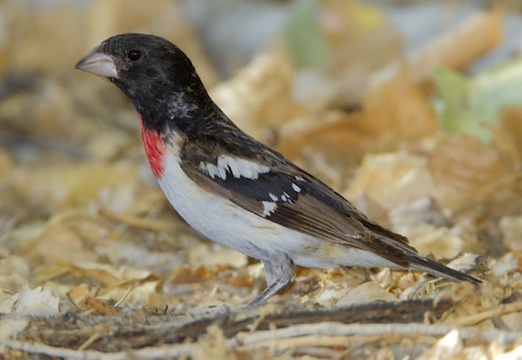 The partly-molted male was at Big Morongo Reserve in the California desert. 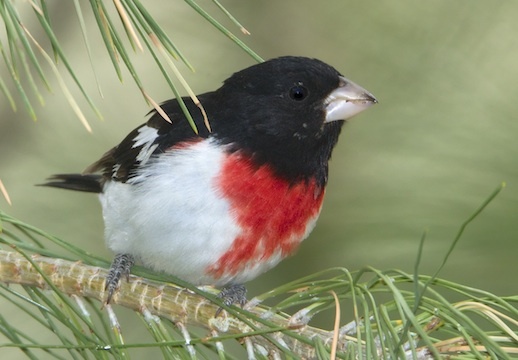 Rose-breasted grosbeaks are close relatives of the more westerly-distributed black-headed grosbeak, many of which were visiting the same feeder.